The Caribbean History Archives: The Arena Massacre of Trinidad Part 1. The Arena Massacre of Trinidad Part 1. Indians, on 1st December, 1699.
which instances the repetition is summarised and printed in italics. to the King Our Lord. General Archives of the Indies. Sevilla. Audience of Sto. Domingo, Bundle 582. LETTER OF THE FATHER PREFECT. SENORES, ALCALDES, GOVERNORS, JESUS, MARIA. watch, and that they wished to bring them all together. Naparima, the second of January, 1700. ORDINANCE OF THE GENERAL MEETING. troops which he had sent to pursue some fugitive criminals. those present signed it on the said day, month and year. Mendez de Sotomayor, Lorenzo Antonio de Montenegro. Tomas de Lezama, Antonio de Bustamante. and to that effect the oath was taken of the said interpreter. Governor, and helped the others to kill his companions. de Montenegro, Juan lgnacio Pimiento. that he threatened them with said Governor. AVOWAL OF JOSE (Age 20). that he had put a surplice to help to drag out the Fathers. had had a meeting to commit those murders the night before. and was signed by the Alcaldes, Protector and witnesses. was out of fear that the Governor would punish them. and that he was in the kitchen and saw the Fathers killed. and he saw them kill the Fathers, but he killed no one. Pedro Pacheco, a soldier accompanying the said Governor. them for their abuses and superstitions. Governor and his companions, he said that he was not present. de Lezama, Lorenzo Mendez, Lorenzo Antonio de Montenegro. AVOWAL OF THE CAPTAIN JUAN DE LEZAMA. twenty days more or less. avowals made with the assistance of the Protector be ratified. understood by the said criminal that which he has declared. that he recalls nothing else other than what he has answered. office, according to his faithful knowledge and understanding. de Bustamante, Juan Garcia de Miranda, Lorenzo Marcano. said that they did, that all were present. he answered that all took part in them. RATIFICATION OF EVARISTO, CALIXTO, AND lGNACIO. EXAMINATION OF THE ORDINANCES BY THE PROTECTOR. de Lezama, Antonio de Bustamante. I find in justice. I ask justice. Antonio de Bustamante. present with whom we act in the absence of a Notary Public. on the thirteenth of the month of January of the year 1700.
de Lezama, Juan Garcia de Miranda, Silvestre Ernandez. Tenreiro, Tomas de Lezama, Antonio de Bustamante. and the importance of this case. who was sick and thereby prevented from taking part in them. meantime he shall be prisoner in the public jail of this town. testimony of this our opinion will be given to the said General. de Alaje Tenreiro. Tomas de Lezania. town with whom we act in the absence of a Notary Public. de Lezama, Don Cristobal de la Riva. twentieth of April of this year 1700. Accustomed fees. In testimony of the truth. their poor earnings, and are not able to sustain themselves. provide what is most convenient for his royal service. desire and that Christianity needs. 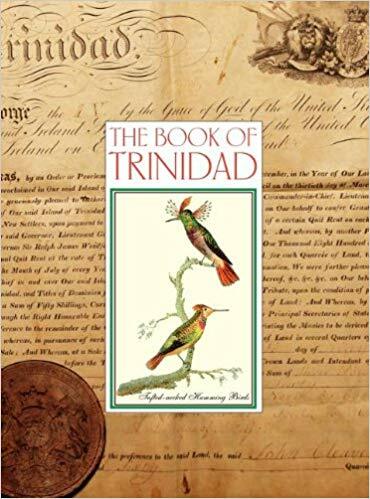 Trinidad, the 16th May, 1700.
that they did not resist the entrance of the enemy in the town. vassals desire, and his Monarchy needs. Trinidad de Barlovento, May 16, 1700.
resolved to visit the holy mission of San Francisco de la Arena. companions, and bring them to this town dead or alive. signed. Accordingly thirty soldiers were put at his disposal. passed in any other way, they found dead there the Rev. because the river was much swollen by the continuous rains. de Bustamante, Domingo Nieto de Soberado. this island Don Manuel Fermin, when they retired. He died in this town of five wounds from arrows. de Robles, Juan Martinez de Vengoechea y Esponda. ORDINANCE TO MAKE THE INVENTORY. and sign in the presence of witnesses. Sergeant-Major Don Manuel de Urrestigui, deceased. Signed by Pedro Fernandez in the presence of witnesses. papers was compiled between the 6th and 13th December. CUSTODY OF THE INVENTORIED GOODS. The Arena Massacre of Trinidad Part 2.